As of August 31, 2016, I am retired due to health reasons. The disease Multiple Sclerosis has been my daily companion since at least December of 1983. Despite it, the Lord called me to the Ministry of the Word and Sacraments in September 1987, and I was allowed to serve in that capacity for 29 years. I am very thankful to my God for his goodness and kindness. 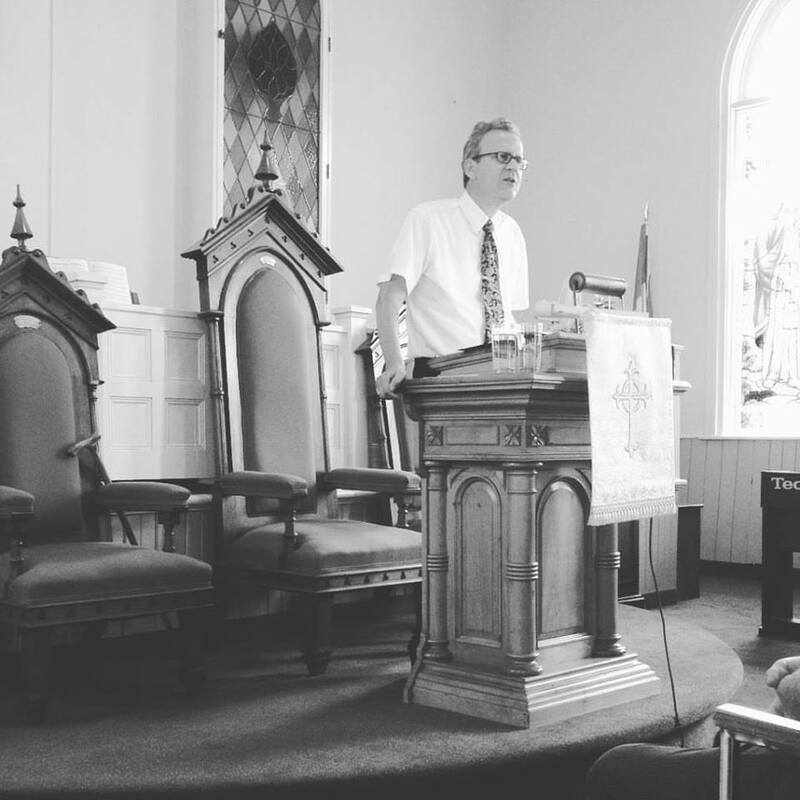 I started my ministry in Jubilee Ottawa, continued it in Taber, Alta., then in Ancaster, Ont., and concluded it at Jubilee Ottawa. I am thankful that the bond begun with Jubilee in 1987, and interrupted for 16 years, will continue until the Lord returns, and beyond that. More properly, my status now is "minister emeritus." 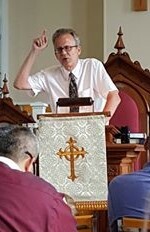 That means that I may continue to serve the Lord and his people at pulpit, font, and table, but without the pleasant but heavy burden of a full time teaching and pastoral ministry. I will miss my congregation, but I know that my Lord Jesus will give me everything I need. I also know that he will give Jubilee Ottawa a new minister at his time. He is only good all the time. 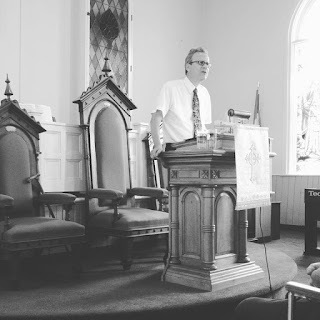 Below are a few pictures taken by parishioners as I was preaching my farewell sermon. I look scarier than I am. Farewell, Jubilee! Thank you for everything. I will always love you. May God bless you forever!